In the FIM Endurance World Championship, the GMT94 Yamaha team is at the top of the heap. The defending champions, GMT94 Yamaha is only 10 points back in the current season from holding the FIM EWC trophy, with only one race remaining. One round is all that the French team has, however, as the GMT94 Yamaha team will be calling it quits after this month’s Suzuka 8-Hours race. Needless to say, this is huge news for motorcycle endurance racing fans. With three world titles under its belt and seventeen FIM EWC race victories on its tally, GMT94 Yamaha will leave the Endurance World Championship for happier hunting grounds in the World Supersport Championship. As such, the French squad will leave a massive hole behind in EWC, as the GMT94 Yamaha squad tackles the remainder of the 2018 WorldSSP season with Corentin Perolari, before taking on the World Supersport Championship full-time in 2019. Niccolò Canepa is in deep water with Italian officials for an incident that occurred at Mugello, back in 2013. Allegedly participating at a track day at the iconic Italian circuit, Canepa has been named as the rider that closed-circuit cameras picked up having an altercation with another rider, on track. The camera footage shows quite clearly two riders gesticulating to each other while riding around the track between the Poggio Secco and the Materassi turns. The footage then goes on to show that the rider, who is alleged to be Canepa, intentionally hits the other rider’s front brake, causing that rider’s bike to fall and nearly take out another non-involved rider in the process. The crashed rider has been identified as Davide Cappato, who fractured his collarbone in the fall. Taking recourse with authorities in Florence, Cappato seems finally set to have his day in court with Canepa. The weather is often a large part of the story at Laguna Seca. Usually it’s either heat, like the dangerously hot 2006 MotoGP weekend, or morning fog that delays the start of a day’s sessions, like nearly every time an event is held at this circuit. But today the weather was a sudden thunderstorm that started just before sunrise. As the paddock came awake, lightning was flashing to the south and rain was drenching the circuit, washing the rubber off the asphalt and soaking the Media Center, to name only a couple of moisture-related casualties. Out came the rain tires for the morning warm-up, and away they went on a track that was drying but still wet. But by the time Race 1 arrived, it was back to slicks for two dry races. It’s great to be back on Asphalt & Rubber again, sitting next to Jensen in a media center at a race track, preparing photos for the A&R readers. It’s great to be back at a World Superbike race as well, where the atmosphere is more relaxed than MotoGP. The bikes are just as shiny, and apparently you can just mosey down to your local dealer and buy one! The bike above rolled right off the show room floor, I’m told. It would look great in my garage. There’s also a jovial family atmosphere. Here two generations of Haslam watch Superpole 1, which is more amusing to some than to others. Chaz Davies took the honors in Superpole 2 on a day that featured two Ducatis at the top of the time sheet. Can you ever have too much motorcycle racing? You can if the amount of racing over one weekend actually exceeds the number of hours in each day. That was pretty much the case last weekend, when we MotoGP at the Termas de Rio Hondo circuit in Argentina, World Superbikes – including World Supersport, FIM Superstock 1000, the European Superstock 600 Championship, and the European Junior Cup – at Assen, British Superbikes at Brands Hatch (the very short, very fast Indy circuit, not the longer GP layout), the second round of the inaugural MotoAmerica series at Road Atlanta, and the 24 hour race at Le Mans in France. Looking beyond motorcycle road racing, there was also the fourth round of the MXGP motocross world championship at Trentino in Italy, and a Formula One race at Bahrain. Although the constraints of long seasons mean that there will always be clashes, this was a little ridiculous. Racing series are not completely free to set their calendars as they wish – they are tied down by a host of factors such as track availability, the weather, other events organized at the circuits, local government permission and many, many others – this weekend was one of the more spectacular scheduling SNAFUs. Let us hope this can be avoided next year. For the upcoming weekend, the calendar is much more limited. The FIM Repsol CEV championship – what we used to know as the Spanish championship – has its first race at Portimao in Portugal. The field is as varied as ever, with riders from all over Europe and Asia, as well as an Australian and an American in Moto3, an even more varied field in Moto2 – including exotica such as the Vyrus, ridden by British youngster Bradley Ray – and Barcelona-based American rider Kenny Noyes defending his title in the Superbike class. Their Italian counterpart, the CIV championship, also kicks off this weekend with their first races at Misano. Both series will be streamed live, CEV on their Youtube channel, and the CIV via a specialist Italian motorsports channel called Sportube. 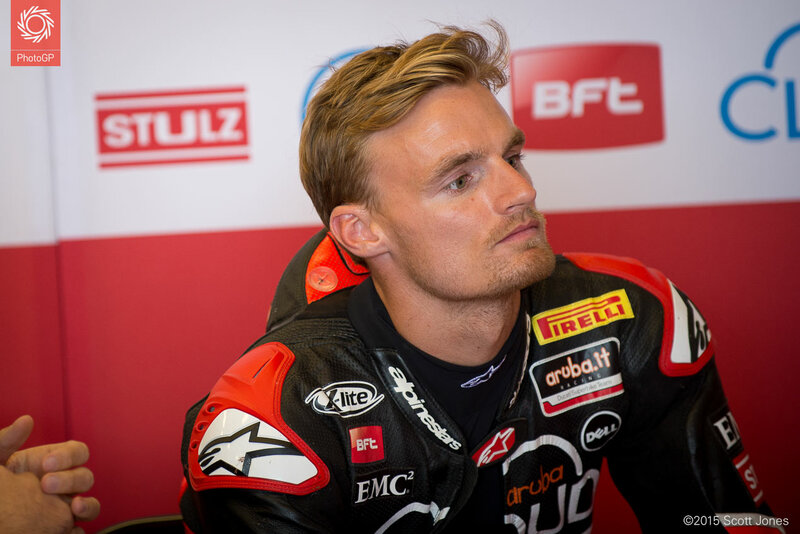 With the news that Erik Buell Racing has ceased operations and will be headed into receivership, doubt has been cast on the company’s racing efforts in the World Superbike Championship. Allaying some fears, Team Manager and Rider Larry Pegram spoke to the WorldSBK.com website, saying that the team would indeed race in Assen, as planned. It has been a busy week for racing, with the World Superbike season opener at Phillip Island followed by the MotoGP test at Sepang, including the extra day of testing on Michelins. There has been a lot of news, but there have been one or two things we may have missed, so again here’s our weekly round-up of racing news. Despite an abysmal year in the World Superbike Championship last season, Team Hero EBR will return to the WSBK paddock for 2015. The team’s return is perhaps in name only, as major changes have been made to EBR’s WSBK presence, which will continue to be based out of Italy. Most notable is Team Hero EBR’s new riders — Larry Pegram and Niccolo Canepa — with Pegram having double-duties, as he will act as the Team Manager in charge of the Pegram Racing crew, which will take over running the Team Hero EBR program. The Althea Racing team is to switch back to Ducati from Aprilia for the 2014 World Superbike season. After their split with Ducati over development of the Panigale at the end of 2012, the Italian team are to return to the Bologna factory fold and race the Panigale in 2014. They will do so on a different footing to their previous relationship with Ducati, however. Next season, Althea will race the Panigale 1199 R as an EVO entry in WSBK, the subclass set up to allow a more affordable entry into World Superbikes. It looks like Aleix Espargaro will be replacing Niccolo Canpea a little bit earlier than planned at the Pramac Ducati team. Canepa, who was scheduled to lose his ride to Espargaro after the final round of MotoGP, has just announced that he won’t be racing at Valencia because he is still recovering from his skin transplant caused be his crash at Phillip Island a month ago.